Working in food production means you have to adhere to strict health and safety regulations. Food production shoes have important safety features that meet regulations and protect you from accidents. Our range of food production footwear are made of high quality materials that are easy to clean. Our slip-resistant food production shoes can tackle most environments and greatly reduce the chance of you suffering a slip, trip or fall at work. They meet EN ISO 20345:2011 safety standards and we have toe capped boots available to give you additional protection. When working in a kitchen you need to wear appropriate safety shoes. Slip resistant kitchen shoes are designed to reduce the chance of an accident on slippery floor surfaces. 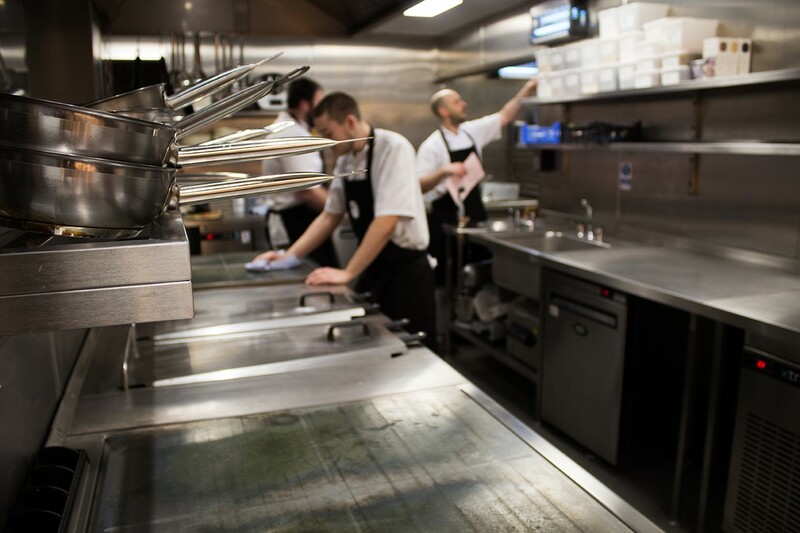 It’s common for spilt liquids, sauces, soup, grease and oil to fall on the floor and kitchen staff need shoes with an effective slip-resistant tread. Our kitchen safety shoes have an impressive slip-resistant grip which gives the best resistance on any type of floor. Our shoes are available in black or white and they’re easy to clean after your shift. As you’re expected to stand for most of your shift, our comfortable kitchen shoes are supportive and protect from sores, aches and pains in your feet, legs and back. As a baker you need comfortable, supportive and slip resistant shoes. Our baker footwear range has supportive and comfortable insoles to protect your feet from aches and pains. But most importantly our shoes keep you safe. In a bakery, spilt liquids on the floor like water and grease, along with baking ingredients can cause dangerous slip hazards. 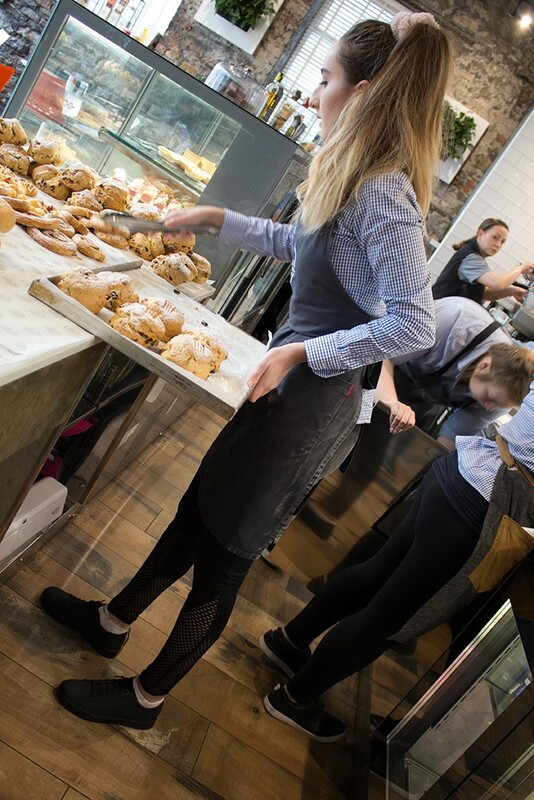 All our bakers shoes are slip-resistant to help reduce the chance of you suffering a slip or fall at work. Also each of our shoes are designed with durable and high quality materials so they are easy to clean. Our slip-resistant work shoes are specially designed to support butchers throughout their shift. You're working on your feet all day, so you need a shoe that provides comfort, support but above all, safety. 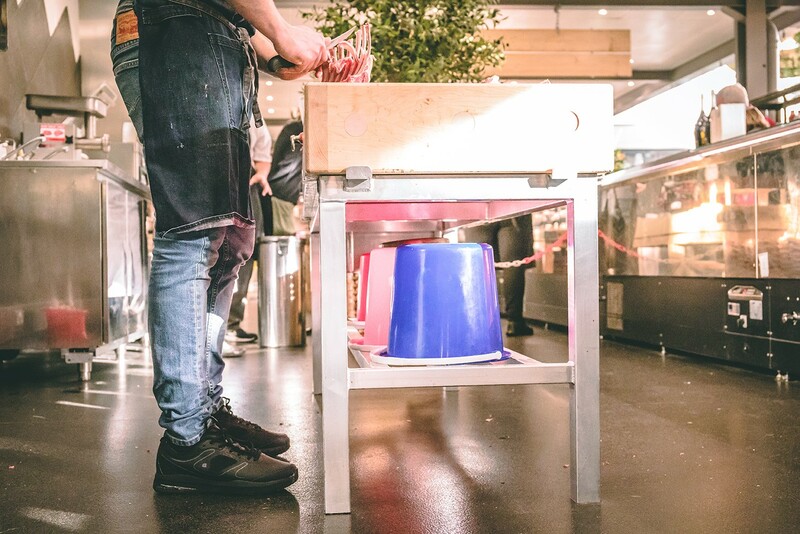 The floors of butcher’s shops are regularly cleaned and can be slippery, so wearing slip-resistant butcher boots help you avoid a potential accident. They reduce the chance of slips or falls on wet surfaces. Created with premium and water resistant materials, our butchers boots are strong and easy to clean. Working in a canteen is very demanding work. This fast paced work environment has many potential hazards, so it is important you wear the right shoes for work. Our slip-resistant footwear is specially designed to reduce slips, trips and falls at work. Canteen floors often get slippery because of spilt drinks and food. Our canteen work shoes are created with the perfect combination of comfort and safety, to keep your feet supported whilst you work and protected against dangerous hazards like wet floors and broken glass. When you’re handling seafood and raw fish on a daily basis you will already understand the importance of health and safety at work. Wearing slip-resistant work shoes reduces the chance of slipping or falling at work and protects your feet from serious injury. Many of our styles have toe capped protection to protect your feet against falling objects. Being water-resistant, they can be easily cleaned and washed down after your shift.